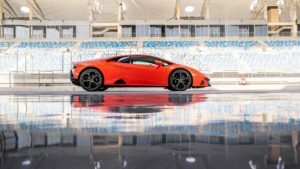 Lamborghini officially unveiled the new Huracan Evo, which was characterized by a whole new set of improvements. 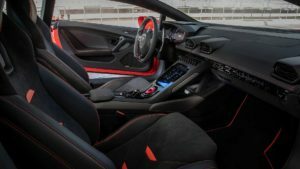 In general, for the restyling of an already existing model, the manufacturers add a few horses under the hood, slightly change the design of the grille and optics and them lower the car in a rather subtle way to say that There have been some technical changes. 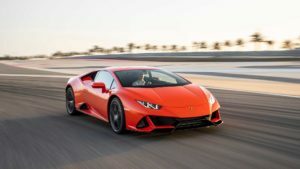 “Lamborghini is a small brand specializing in the sale of dream cars,” says Mitja Borkert, head of design for the Italian manufacturer, However, for buyers who may already have a Huracan, a new grille, and an extra 30 horsepower, it’s not something new. The EVO is still a bit higher than the Lamborghini’s V10, which debuted in 2003 on the Gallardo. 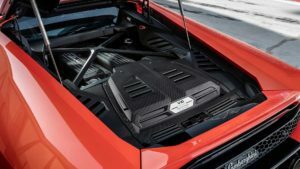 The engine now develops 640 horsepower and 600 Nm of torque, the same as one of the most successful of all Lamborghini: the Huracan Performance. 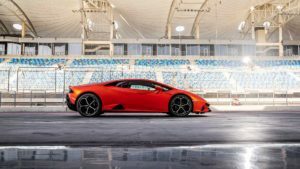 It is also 30 horses and 40 Nm more than the “standard Huracan”. 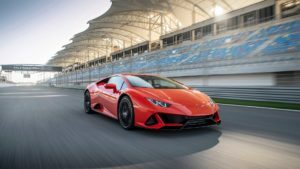 But, as Maurizio Reggiani, Lamborghini’s technical director, says, every extra horse has to be justified. 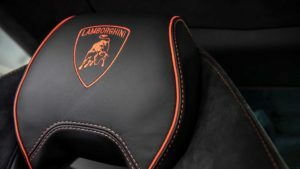 Lamborghini will only add it if it improves performance and makes the car more fun to drive. Thus, the main objective of the EVO is to improve the dynamism of the car and not only its power level. while moving these air flows away from the front wheels, which can cause turbulence at high speed. The basements have also been optimized. 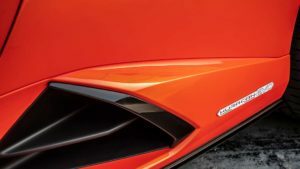 The fin has been reworked and the EVO displays six times more efficiency and the support is multiplied by seven compared to the old Huracan. These amazing aerodynamic improvements lead us to wonder how ancient Huracan behaved. The back part of this new Huracan is visually distinct. 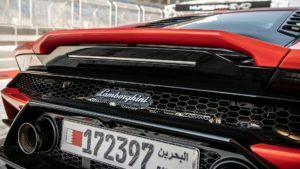 Lamborghini has moved the double tailpipe upwards, giving it a rear end similar to GT3-class racing decors. Although the cabin looks familiar, we immediately notice the new 8.4-inch capacitive screen. 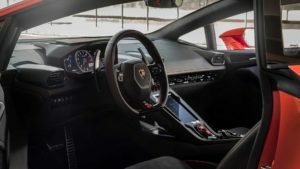 It is similar to the one you can find in the Urus and even includes a stopwatch and all available telemetry. 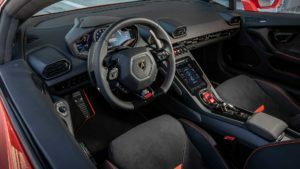 Lamborghini enthusiasts will also appreciate a specific vehicle dynamics tab that includes the real-time steering angle and torque distribution between the two axles. 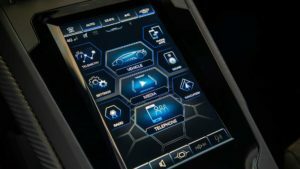 Lamborghini engineers tell us that the LDVI system is also capable of predicting. The processor uses gyroscopes and sensors that continuously monitor the center of gravity, wheels, load transfers, and pitch. All this information is used to anticipate the next cash movements and driver reactions. 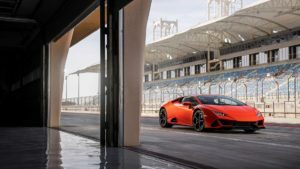 And although it might seem that Lamborghini is trying to keep up with the frantic pace of McLaren and his highly imaginative technical department, the final result on this Huracan is purely Lamborghini. 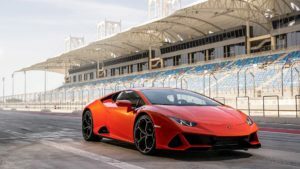 With several laps spread over a full day on the F1 circuit of Bahrain, we have become acquainted with the new Huracan EVO. 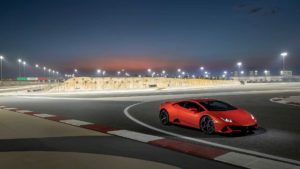 The 15 turns, the three long straight lines and the altitude changes of the track are perfect conditions at high speeds to test acceleration, braking, and load transfers. Once in the car, we lift the red ignition cover and press the engine start button V10. 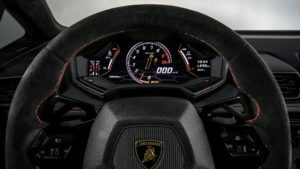 Like the Huracan “standard”, the EVO has three driving modes: “Strada” for the road, a mode “Sport” that makes the decibels even slow, and “Corsa”, which is the mode for the track. As we had little time on the track, we skipped the “Strada” mode in favor of the “Sport” mode. 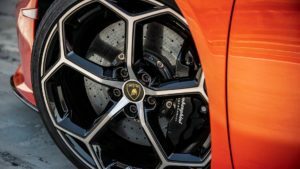 With a Pace Car as an opening car, we leave the pit lane and enter the first corner, where we immediately give the six-piston front calipers their first friction against the huge carbon-ceramic discs. The response of the braking system is sensational. Let’s say it’s the minimum required on a car capable of reaching 100 km / h in just 2.8 seconds and having a top speed of 320 km / h.
The steering is equipped with a variable system depending on the speed, but that does not prevent it is extremely well geared because the left-right-left sequence of the next turns is swallowed at a glance. After this sequence, we attack another straight line before using the left pallet, thus downgrading a report via the robotic seven-speed dual-clutch transmission. The “Sport” mode seems perfect, especially since the rear of the car slides effortlessly around corners and leaves just a few traces of its tires Pirelli P Zero on the asphalt as we chained turns. 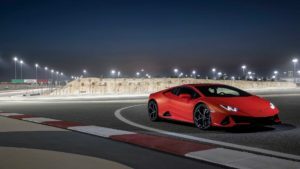 It is to the credit of Lamborghini for making driving the Huracan EVO both accessible and fun. 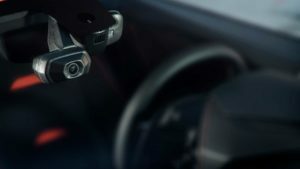 The third driving mode, the “Corsa” mode, is designed to be the most cutting-edge mode. We find it more of a “Sport Plus” mode than a “Track” mode. The sound of the engine is still powerful and the stern seems a little more willing to let go. 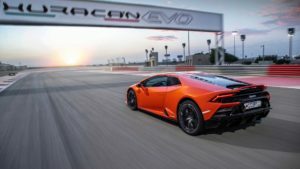 Lamborghini has a Huracan “standard” that we can test on a course in eight to draw the parallel with the EVO. 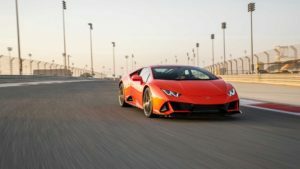 The current “old” Huracan instantly reminds us of how fun and moving it was. But once aboard the EVO, the distinction between the two cars is clear. We are able to get closer to the cones and get around them faster. 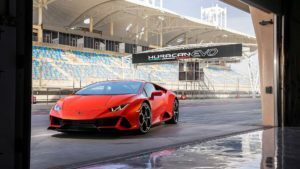 A race on a slalom course highlights even more the agility of this new Lamborghini Huracan EVO compared to its predecessor.